Condensation within your home is a nuisance; it can also lead to much more serious situations such as mould, mildew and damp which can be really harmful to your family and cause serious respiration problems. So it’s essential that you find condensation solutions to keep your property moisture levels at an average. Can I Do These Condensation Solutions From Home? 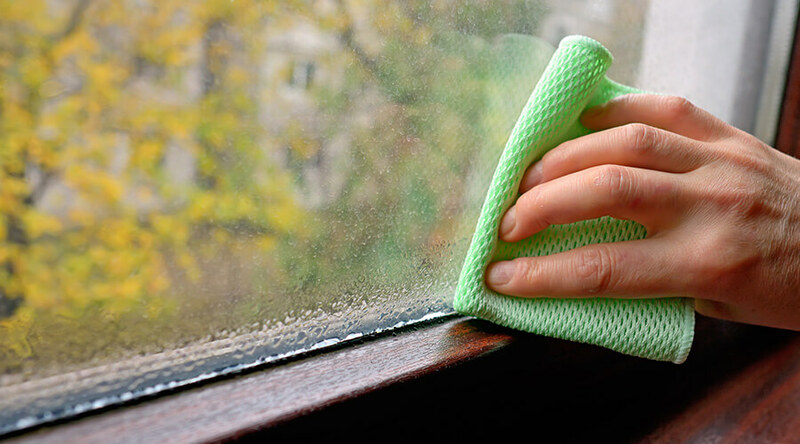 Yes, most of the solutions that we mention in this article are related to things that you do at home – except we give you tips on how to reduce condensation build-up that may cause damage to your home.  Condensation is often more present in certain places than others, conservatories are usually highly susceptible to condensation due to the fact warmer air from outside makes contact with the cold windows which then produce copious amounts of moisture on the windows and windowsill. So condensation can cause serious issues that can even affect you and your family’s health, so how can you stop it? We’ve devised a list of the top condensation solutions to rid your home of condensation and moisture before it transforms into damp and mildew! So if you want to find out how – then keep reading! Leaving cold, wet clothes in your conservatory, or dining room to dry can add a high amount of moisture in the air, all of the moisture taken out of your clothing will be transferred into the air and can reappear as condensation on your windows and windowsills. Of course, if you have double glazing Banbury then, this is less likely to happen, but it is unfortunately impossible for you to have no condensation. We all know the satisfaction of a hot shower or bath after a long day at work, but unfortunately, it creates a lot of steam that can cause severe damage to your home after a prolonged period of time. The steam produced from showers will convert into condensation when it passes from its vapour form to liquid as it meets the cold air – which is bad news for your bathroom. Silicone sealant is commonly found between bathroom tiles and also in some parts of your shower or bath when this is left exposed to condensation it can cause damage and can turn green from mould and mildew, so it’s essential that you keep it clean. To do this you can buy a shower squeegee that when used after every shower will stop condensation and water from damaging the silicone sealant – it can also be used on windows and windowsills and is excellent for keeping them clean too. It’s also a good idea to have an extractor fan fitted into your bathroom, they’re usually already present and can be turned on with a switch on the wall, but if you do not already have one, then you should have one installed. The purpose of a bathroom extractor fan is to remove moisture out of the air, but it can also remove foul odours and even reduces the fumes emitted from cleaning products that could be harmful to you. Since damp is a common problem in the UK, there are devices that can filter out moisture in the air just like an extractor fan except they’re cheaper and can be put anywhere in your home. Sometimes damp can simply happen from the way your home is positioned and the weather – especially in winter time. So it’s not necessarily your fault, dehumidifiers are small little air filters that can be plugged in anywhere in your house that has a plug socket. They have a small water section where all the moisture collected from the air is stored, you will have to empty this, and sometimes dehumidifiers can collect up to 3 litres of moisture out of the air in your home in 1 day! With pets and plants, they can actually produce a lot of excess moisture that you may not necessarily notice at first. Plants convert carbon dioxide into oxygen, and just like how we release water vapour into the atmosphere when we breathe so do plants. Although it may not seem like much after extensive research, we found that 10% of the earth’s moisture is released from plants. Even a plants roots release moisture as they draw water and oxygen down to their roots, they then release a small amount of water vapour from the roots. A plants rate of transpiring can differ, depending on heat, humidity and the intensity and availability of sunlight. So plants situated in conservatories Milton Keynes have more access to sunlight and will receive it more intensely than a plant in another room of your home. Meaning that it is then easier for you to receive damp or mould problems from plants in your home due to the humid water vapour settling on walls and ceilings. With things like fish tanks they can also emit excess water vapour that can damage your home, it is quite a common occurrence for homeowners to experience damp or mould problems behind their fish tank. Especially for large-scale fishtanks that have to be regularly refilled with water – this is because water is evaporating and condensing on your walls. So you should consider using a dehumidifier to reduce the amount of water in the air before any mould or damp problems can occur; alternatively, you can cover the top of your fish tank to prevent condensation if you do not want to use a dehumidifier. Not only does damp look horrible but it is really bad for health, especially if it gets into places that you cannot see. Health issues that affect breathing such as asthma can be vigorously irritated by mould when breathed in. So to prevent this happening you should take plenty of precautions to keep your home damp free, as most of the time damp is out of your control and you can’t always see it.